Do you want to get started with natural remedies, or use more of them…but it’s just too confusing? There are a lot of different natural remedies out there, for lots of different symptoms or issues. It’s easy to feel like you need something for this, and something for that. That gets expensive…fast. Plus, it’s confusing — you’ve got to remember which thing to use and when! It’s easier to just avoid the whole mess, and stick with what you know. Still, if there were an easier and affordable way to really use natural remedies…. These days, I have heaps and heaps of herbs in my house (mostly because I have a problem…lol. 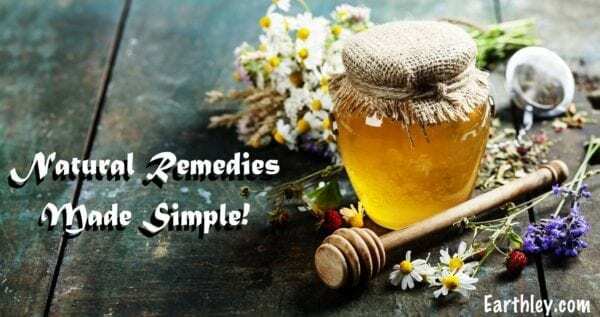 You don’t need that many) and I love to mix up a bit of this, and a bit of that, to create simple, natural remedies — that work. And I’ll teach you how to do it in this FREE class. Yes, it will be easy…and affordable. See, when I first started with natural remedies, I had a ton of different ones. There are so many herbs that are good for similar symptoms that I wanted to mix up a bunch of really similar remedies so I could be really exact with each one. Over time, I combined my favorite properties of each remedy into a small handful of tried-and-true remedies. I now stock only about 5 different things that I use frequently — that’s really all you need. I’ll teach you exactly what you really need, and what you actually don’t. I will show you my top herbs and remedies, the ones I keep on hand all the time and use most often. 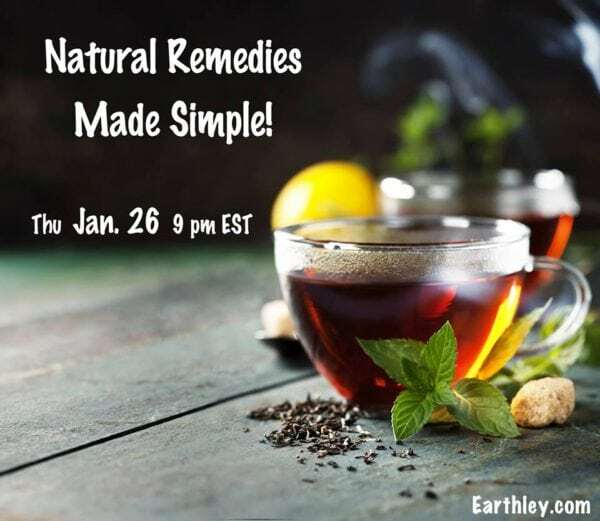 And, I’ll show you how to simplify your natural remedy cabinet so that you can confidently start using some easy remedies for common symptoms, like teething, upset tummies, sniffles, and more. Plus, I’ll show you the herbs that are safest for families with little kids, and pregnant and nursing mamas. I’m a mom of 5, and I’ve been pregnant and/or breastfeeding continuously for almost 10 years, so I don’t use remedies that aren’t safe for everyone! At the end, we’ll have a live Q&A. I’ll answer your questions about everything natural remedies, and help you feel as confident as possible in helping your family, naturally! Join us online. You can login from anywhere that you have an internet connection. You just need speakers to hear us, and a keyboard to type in your questions. Wear your pajamas, if you want! When you register at the link below, you’ll get an email confirming your spot in the class. Spaces are limited, so register soon! Q: Who are you, and why are you putting on this webinar? A: Good question! My name is Kate, and I’m a mama to 5 and a lover of all things herbal. I’ve spent the last 8 years learning about herbs — what they do, how to use them, safety info, and more. I’ve developed my own herbal recipes and have used them on my family, and on friends’ families. I am also the author of Natural Remedies for Kids, published in summer 2015 by Fair Winds Press. Q: What if I can’t attend at this exact day/time? Will you have another option? A: Yes! If you register for the webinar, you’ll receive a link to listen to the recording after it’s over. That way, if you’re unable to attend, or if you get interrupted (kids happen! ha), you can hear the whole thing. However, there’s no live Q&A with the recording, so I won’t be able to answer your questions immediately. I’m happy to answer questions via email, though. Live is more fun, so try to be there if you can! Q: Will you run this live again? A: Probably. If and when I do, I’ll post a link to register for the new session. Q: What if I need tech support on the webinar? Q: I’m an absolute beginner to natural stuff…will this work for me? A: Yes! You don’t have to know anything about natural remedies to join us. You may choose to stick to the simplest stuff we discuss just to start, but that’s fine. You’ll be able to listen to the replay and try new things as you feel up to them. It’s like the gift that keeps on giving! Q: I’m more advanced with natural remedies, will this work for me? A: Sure! You might already be familiar with a lot of what we talk about, but since everyone uses herbs a bit differently, you may learn some new things. Q: Is this going to be expensive? I’m on a budget. A: No! The class itself is free, which is super budget-friendly. 🙂 Many of the suggestions in the class will be items you already have on hand, or which you can get at any grocery store. We’ll also have some ready-made kit offers that are very budget-friendly. We know this is a big issue for many! Register below — it’s FREE — and I’ll see you on January 26!